I don’t know about you, but I’m definitely not a designer. It’s sad because I love building websites, creating ebooks, designing logos. Or at least trying to do all of the above with my limited skills. I was never good at drawing at school even though I really wanted to learn. When I started creating websites back in 2010 I felt really good. It was like I reunite with my creative side after all these long years full of pointless consumption. The best thing about using WordPress for creating websites is that even if you don’t have any knowledge of CSS, HTML, or website design in general, you can still make a decent looking site. But it’s not all fairy tales and fluffy bunnies. It’s not like you get a hosting, install WordPress and voila, you have an award-winning website ready for the world. No, there is a lot to configure and customize till you reach a design that satisfies your own expectations and pleases the eye of others. 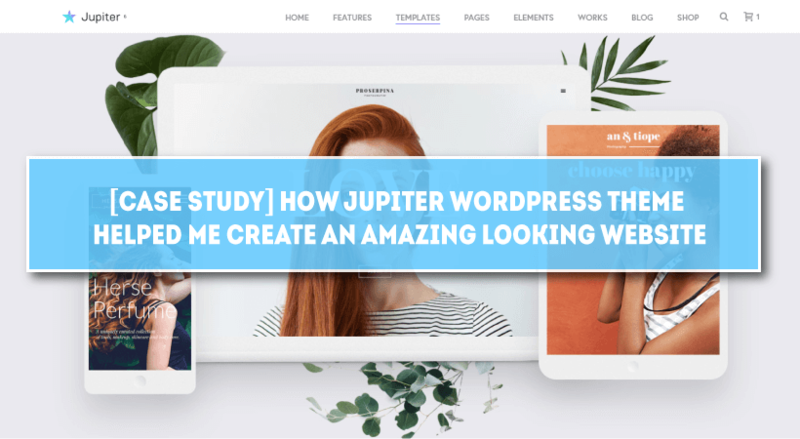 In this case study, I will share my experience with one of the best WordPress themes on the market according to my own standards: Jupiter WordPress Theme. I’ve actually written a detailed review of this theme a while back: Jupiter Detailed Review. You might wanna check it later on. If you’re interested in creating a stunning looking website using WordPress but you’re puzzled from where to start or what theme you should purchase, then you really need to read my case study. The problem is obvious: Is hard to create visually appealing website if you’re not a designer or a coder. Actually, you need to be both if you really want to make an eye-catching website. There are tons of WordPress themes out there but only a few of them will help you create a web page that can actually be featured on sites like Awwwards.com. I’m sure that you will understand me If you’ve ever purchased a theme from a market like ThemeForest. Once the installation finishes and you reload your site you see a page that has nothing in common with what you saw on the sales page: “Where is the cool design? Where are all the big buttons?” Naturally, you contact the creator to ask what is going on but you get a canned response that states:”Well, the theme needs to be configured to look like our demo. If you like, we offer web design services. The price starts from $1000.” Thanks but no thanks. I’m tired of ugly WordPress themes that are stuffed with settings and options you don’t actually need. Annoyed by the lack of visually appealing templates. Thankfully, there is a balance in the universe. Don’t lose your hope if you’re looking for a way to visually transform your site. There is a solution and it’s called Jupiter. Created by Artbees.net, back in 15 of July 2013, Jupiter WordPress theme is one of the best themes for people who don’t have a clue of design but still want to create something worth seeing. I follow the evolution of this product probably since the early beginning. I found out about Jupiter WordPress theme from their other template: The Ken. Previously, Ken was actually better in terms of looks – at least that’s my opinion – but they later focused their efforts on Jupiter and made it something marvelous. I don’t have to convince you that this theme looks good, you can simply open the link above and check the demo: the clean design, the minimalist looks, the header menus, the colors, the blog section. Everything is perfectly arranged. The available options shape one complete product that looks amazing and it will surely appeal to your visitors. Templates: Jupiter comes with over 160 pre-made templates ready to be installed. You just plug the theme and hit a button to make the installation. Within a couple of minutes, your site will be complete at 50%. Included Page Builder: Jupiter is powered by Visual Composer. You basically create your landing pages using this plugin. The cost of this page builder is $46 but you get it for free with your purchase of the theme. Lightning fast: You want speed? You got it! The guys from Artbees have optimized this theme for optimal performance. Look out the window when you install this template, this thing flies. Header builder: Besides getting a page builder, Jupiter is also equipped with Header Builder. A featured that will help you create the best header section for optimal conversion. These are only few of the features coming with this theme. There’s a lot more included. Last year, 2017, I decided to start a new website. The site is called corehustle.com. It’s about life, in general, and how to become better. How to squeeze the maximum of every situation and advance, both financially and mentally. I wanted my site to be clutter free and easy to navigate. All the focus had to be on the content. I knew right from the start that I was going to use Jupiter for this site. Finally, I turned out really decent. The best part, it was super easy to setup and configure. It took me probably two days to set everything. Even though I’m quite a fan of Total WordPress theme, Jupiter has something different. The bold text, the centered content in the blog posts are all features so desired from the audience but so few authors include in their final product. I don’t know why that is. As mentioned, there are currently more than 160 demos at your disposal when you install Jupiter. You can view the full list of demos inside this page: Jupiter Theme Templates. As you can see for yourself, these two look stunning. I hate most of the blog section of the other WordPress themes. If you don’t have a sidebar the content section is really stretched, which is making it hard for people to read. People can finally read what you’ve written without having to scroll all the way to the other side of the screen. It might look like something small, but if you think about it it’s not. I mean, the reason you put buttons on your site is for people to click on them. If you place a small button no one will notice it, thus no one will purchase your product or subscribe to your mailing list. You need big buttons on your site so people can click and buy. Jupiter comes with a long list of icons that can be easily implemented inside your content. 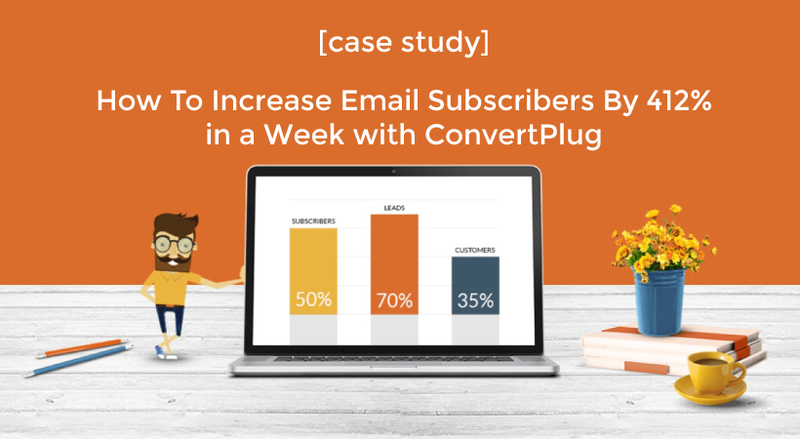 You need to connect your MailChimp API and you’re ready to collect subscribers. Fonts, a lot of fonts. Finally, simple way to define your fonts for the different section of your website. Jupiter is stuffed with font options that will strengthen your content and make it more readable. This is my site created with Jupiter WordPress theme. Simple, clean. Once you click on Register a Product it will take no longer than a minute for the demo to be set on your new site. It’s much easier than the other themes. You don’t have to specify the same font for 10 different elements. This feature here saves you a lot of time. Choose Clear & Bold from the drop-down. I will make the Blog Featured Image Height 1000 pixels and I will remove the Previous & Next arrows plus some additional things. When you make the connection between MailChimp and Jupiter you will be allowed to use the already made MailChimp integration to collect subscribers. Instructions for the key and for the list ID are present inside this page so you can easily navigate inside your MailChimp account. Select it and further customize your form. Even though by importing a demo your site will be nearly complete, there is always something that needs adjustment in order to make everything like you want. Save your changes every time you make changes. 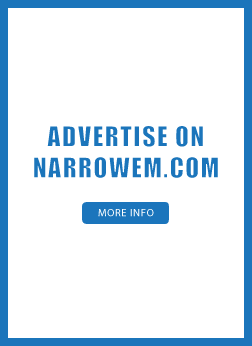 The image fits perfectly and you can add text and call to action buttons on the left side of the image. Simply go back to your page and start adding elements. You’re not a designer but you want a good looking website? Sure, you can hire a design agency but these guys will want between $1000 and $3000 only for the first half of the project. Fortunately, there is no longer restrictions for us – the guys and girls who don’t know how to code. Nowadays, you create a stunning looking website with a WordPress installation and a theme. The guys from Artbees already made the heavy lifting for us. 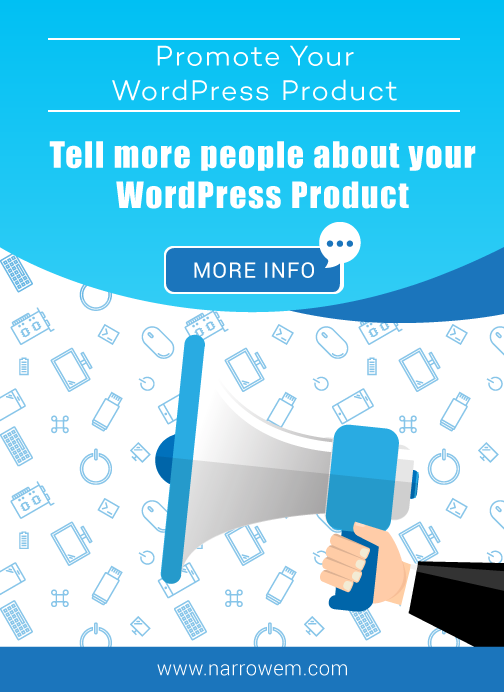 They’ve design beautiful, highly customizable WordPress theme that will turn even a newbie into a pro frontend developer. Jupiter is not your average theme, it’s a complete solution for people who are looking for an easy way to set their site and later focus they efforts on the content and the brand. 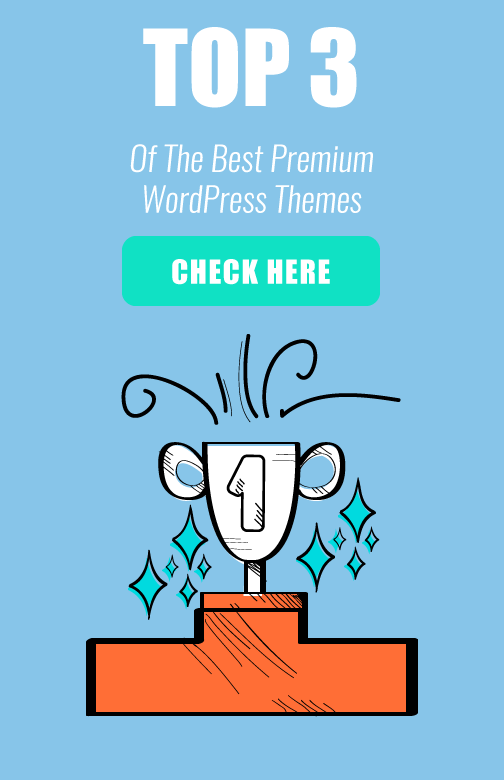 So, if you’re wondering how to transform your site and push it to the next level in terms of looks and performance, I will definitely recommend checking out Jupiter WordPress theme. Have you ever tried Jupiter? What are your thoughts?